The late country singer Jerry Reed who sang “She got the goldmine, I got the shaft” wasn’t far off when it relates to how some people going through a divorce can feel. Divorce is emotional and when the love is gone, people often look to money to fill the void – and sometimes get back at their soon-to-be ex-spouse. That’s why before you pick up the phone and call a divorce attorney, it’s best to consult someone who can help you to better understand the financial implications that come along with going from I do, to I don’t. A Certified Divorce Financial Analyst (CDFA) is trained and knows, not only about your state’s financial divorce laws, but also about personal financial planning. In addition, initially consulting with a Divorce Financial Analyst can cost significantly less than the hourly fee oftentimes charged by an attorney. You wouldn’t walk into the middle of a bullring without knowing what to expect, why walk into a divorce attorney’s office without knowing and understanding your financial situation and how divorce will change your financial future? A CDFA’s job is to gather as much financial information as possible and to paint a realistic picture of what life will be like down the road. What assets are owned. This includes anything from cars, homes, money in the bank, retirement accounts, stocks and business holdings. What money is owed, such as a mortgage, car payment credit cards, etc. Whether it’s in the client’s best interest to keep, sell or rent out the marital home. Seek to uncover any hidden assets a spouse may have. If a business is involved, be able to understand it’s actual valuation. Create a realistic budget based on what is being spent today and what money will be available post-divorce. Assessing the tax implications of any transfers, sales, or distribution of assets. Once those and other questions are answered, the client will be able to provide a divorce attorney with a much clearer picture of their financial situation. This also will enable you to complete complex financial disclosures that will be submitted to the court as part of your divorce filing. This is imperative because once you sign off on a divorce settlement, there’s no going back, unless there is some substantial change in your financial situation such as an inability to work due to an injury. Even then, it’s a process that will require additional legal fees and time in front of a judge. I have witnessed first-hand angry spouses using finances to get back at each other. As a CDFA, it’s my job to take the financial tension out of the equation by using straightforward facts and figures. Oftentimes, this means having to help clients adjust to a lower standard of living. We also can help clients to decide their options when it comes time to untying the knot. Will they want to litigate their divorce? This can become a costly option. Are they amenable to mediation? This means that the couple will have to come to the table and be willing to hammer out an agreement with a mediator. Collaborative divorce is another option. This is when attorneys for both sides use cooperative techniques instead of adversarial strategies and litigation during the divorce process. All of this is not to say that a divorcing couple should skip hiring an attorney. They are certainly knowledgeable about the law and will advocate for you in court or at the mediation table. 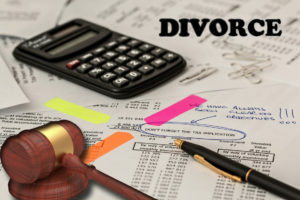 However, because most do not have the training and knowledge required to analyze a couple’s finances and help them to transition from married to single life, bringing in a CDFA first will provide the attorney, and you, with the information needed to make the divorce process as smooth and equitable as possible.